Hi readers. I didn't know whether to post this because it's cruel to show you a specific product that's no longer available, but I wanted to give you an idea of how the formula is. 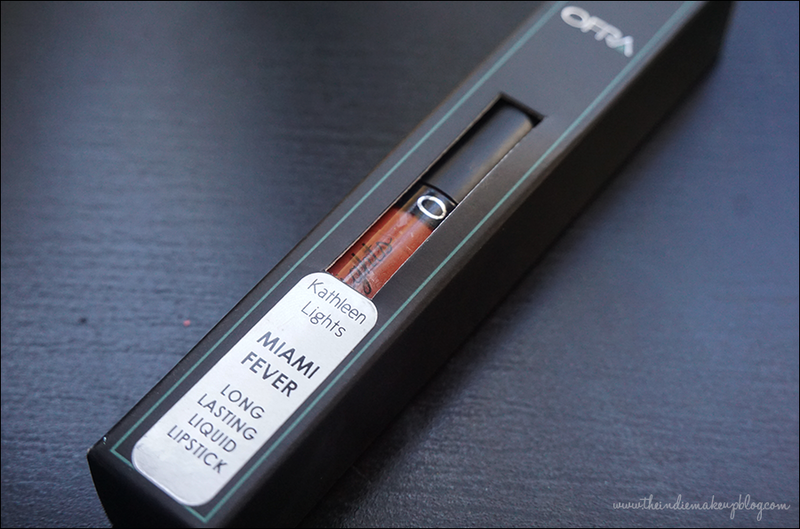 Recently, Ofra Cosmetics collaborated with Youtuber KathleenLights to create a limited edition liquid lipstick in the shade Miami Fever. Miami Fever is a burnt orange terracotta. 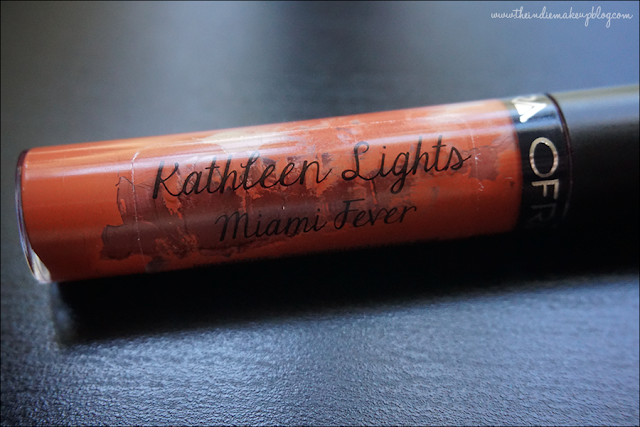 I'm actually a big fan of KathleenLights, she seems to keep it a bit more real than some of the other gurus. As soon as I saw this shade on her I knew I had to have it. Edit: KathleenLights posted on Instagram that Ofra will be stocking this shade again on Oct 26 for any of those who want it before it goes away for good! This product retails for $19.90. I used the code "kathleen40" and received 40% off my order. I just checked and at the time of this post, the code is still active. This was my first experience with Ofra Cosmetics and it went smoothly, I didn't have to contact Customer Service so I can't speak to that. I placed my order on September 30 and received it on October 7 so the TAT is pretty good. There are 31 different shades ranging the spectrum of color. All thoughts and opinions are my own. Photos were taken in direct light. For reference, my skin tone is slightly lighter than an NC15, fair with warm undertones. Please view my disclosure policy for more information. The color is very flattering and more wearable than I expected. It's subdued enough to still be work-appropriate. In terms of formula it's richly opaque and has a mousse-like texture. I like that it's a slightly thicker formula because it helps me apply it evenly without a lip liner. It doesn't dry down completely so it's not entirely transfer-proof but it wore well for 7 hours on me. By the eighth hour, the color was a bit faded but still holding on. I only drank water and snacked on grapes through that period but I was still impressed with the wear. It does need to be reapplied after a greasy meal though. 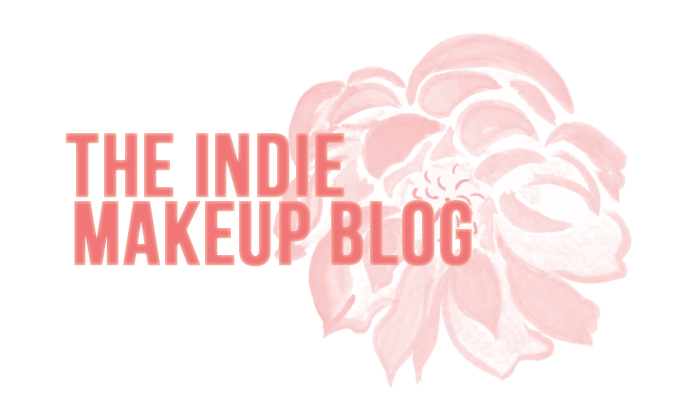 The lipstick formula is kind of a hybrid between Fyrinnae's Lip Lustre where it's a little thicker and has a mousse texture but the wear time and feel of it on the lips is more in line with Life's Entropy Lip Theories, which is my favorite opaque lipstick formula. I don't know if you can tell in the photo above, but it actually looks like lipstick is smushed inside the packaging, something I've also seen with Lip Lustres. It didn't impact application but I did want to make note of it. I'm quite happy with my purchase and would be interested in placing an order again, but only with a discount code. The regular price of $20 is a little steep for me, particularly when LE Lip Theory samples are hugely generous and only cost $2.00 each.